Give a home to a friend who needs you most – Adopt Don’t Shop! 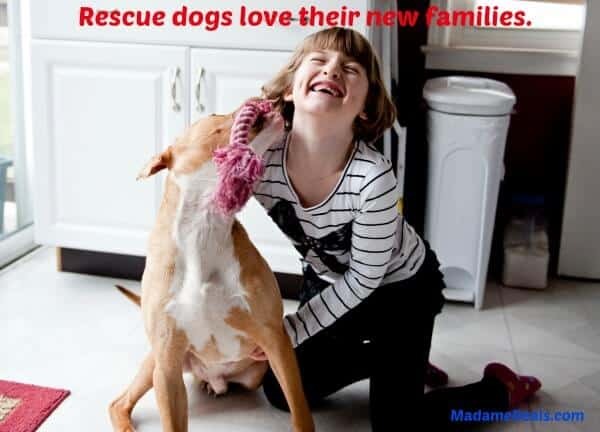 I am a big supporter of dog rescues and our family is very involved with a local rescue. We are not only supporters with money but we foster animals, work with TNR (Trap, Neuter, Release) programs for feral cats, volunteer our time and so much more. It is a very rewarding experience but what makes it all worth it is when we are able to take an animal to their New Adoptive Home. A few months back we didn’t think we would be continuing in dog rescue and our hearts were broken. My husband suffered a severe dog bite (which required 17 days in the hospital and 3 surgeries over 3 months). The day after my husband was bit, our own dog was attacked by our foster dog and required emergency surgery. During my husband and our dog’s recovery, we decided to stop fostering and volunteering with the rescue group we had been with and re-evaluate when both were healed. Many people told us that we should give it up all together but we understand accidents happen and could not make that decision. About 6 weeks ago, we decided that we were ready to welcome a new foster puppy into our home. I reached out to a another local rescue, Providing For Paws. They had the perfect foster for us, Ziggy. We welcomed him into our home and he quickly stole our hearts and surprised me by winning over our dogs. Since then we have had 4 other fosters, who have been adopted and we just took in 2 more foster pups over the weekend. During this time, our rescue group has helped save a dog that was skinned, a dog that was shot and required amputation, and a dog with a severely broken leg requiring amputation also. Our team of volunteers at Providing For Paws have banned together and worked hard to help all the animals in our care. Over the past 2 weeks we have helped over 10 animals find new homes. This is a process that takes time as we do home checks,vet checks and reference checks on all new adopters. We do our best to make sure each home is the right place for each animal and each animal fits with the family. While things have been really busy and sometimes crazy, my daughter has never complained because she understands the importance of Adopt Don’t Shop and why you shouldn’t support pet stores who sell puppies. While this may not mean much to some, this means so much to my husband and I. This means that she understands something many adults don’t understand. 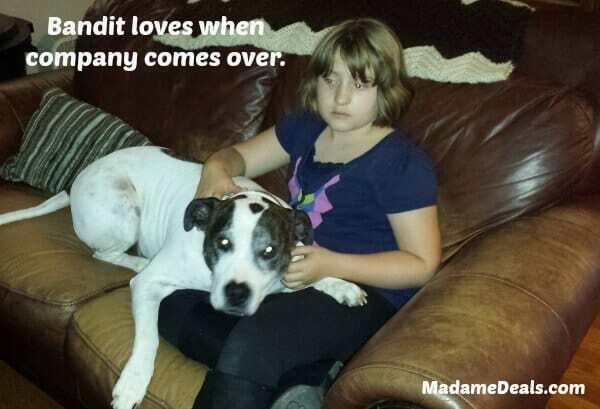 Here is our daughter with the director’s rescue dog Bandit! This motivates me to spread the word about the ASPCA campaign to inform consumers about the truth behind puppy store puppies. The truth is most pet store puppies are bought and sold from puppy mills. By buying a puppy from a pet store you are helping these puppy mills stay in business. You are also buying a dog that has a very high chance of in-breeding and health problems. The ASPCA has also started a website for Parents to help them with their 2 legged and 4 legged children. 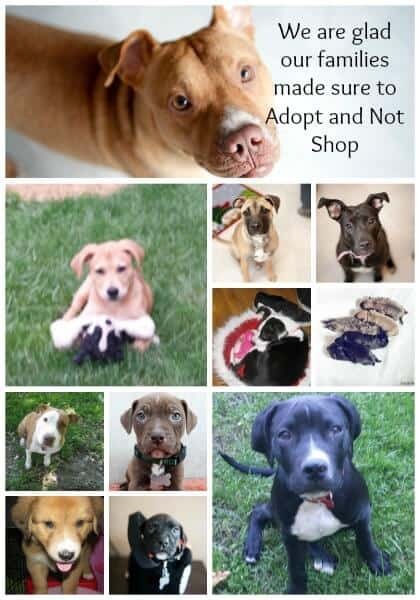 You can check out their campaign here No Pet Store Puppies. Check out our Pet Recipes for some Healthy Dog Treat Ideas. Follow These 10 Tips To Know Before Volunteering and get started with a local group. Read more about the Life of a Furry Foster Parent.